Top of City is an excellent apartment compound located in central Shanghai close to Nanjing road, the main street in Shanghai. Brilliant complex in an amazing location. Right in the center of the action with famous areas such as The Bund, Shanghai French Concession, Jing An Temple and Downtown Shanghai right on its doorstep. The complex itself is a favorite among expats living in Shanghai. On site facilities include Club house, top spec gym and indoor pool. Top of City is known for having some of the best management and security of any downtown Shanghai apartment complex. Great management team provide 24 hour service. Renting an apartment in Shanghai, is quite simple if you choose Top of City. 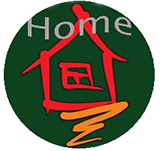 HomeofShanghai Housing is a premier Shanghai real estate company. HomeofShanghai provide excellent lease negotiation and a class leading after care service. They are also the agency you need to talk to if you are interested in Top of City. Check out some of their listings in Top of City available on the market now. 2 Bedroom | 15,000rmb | See listing here. Check out HomeofShanghaiHousing.com if you are looking for a house or apartment in Shanghai.